Why is it that as soon as the weather gets chilly, I want pumpkin everything? I could literally go on a pumpkin diet. That is if it wouldn't turn me some crazy orange colour like that kid at school who ate too many carrots. Pumpkins smell good, they taste good, they make great decorations, they bake well, they produce seeds that can taste scrumptious. Hi, my name is Lauren and I have an addiction to pumpkin. It's a problem. Anywho. I refuse to get help, so here is a recipe for probably the best cookies to date. You're welcome. you know my rule about chocolate chips...you add as many as you please! I used dark chocolate chips! But you could use semisweet or whatever you like! I love the dark in these though. Scrumptious! In bowl, mix together your flour, baking powder, baking soda, cinnamon, nutmeg, allspice & salt. 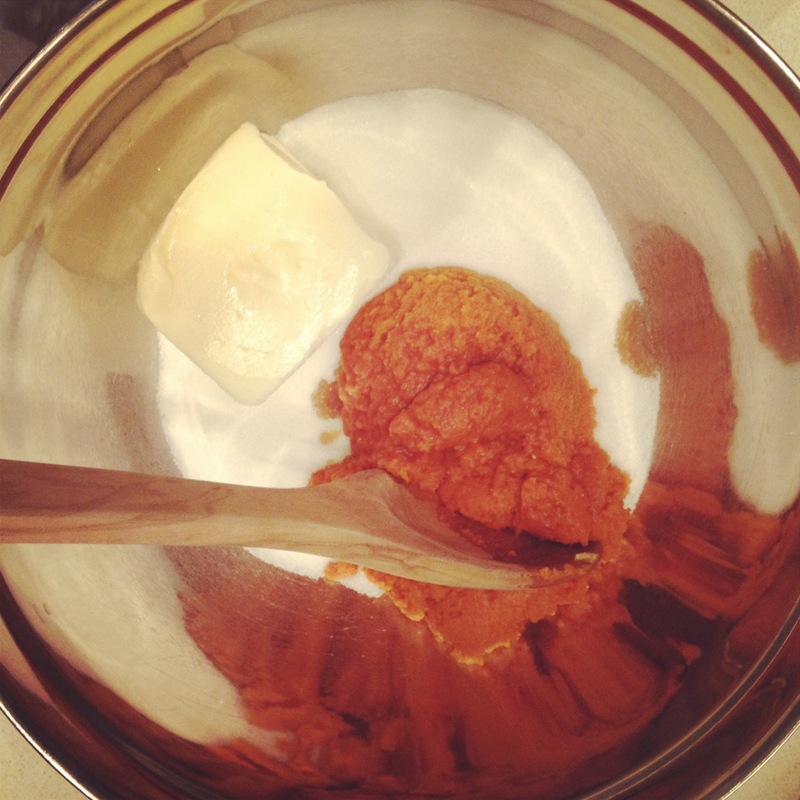 In separate bowl, cream together your butter and sugar. Add remaining ingredients. Add your dry ingredients mix to the wet and combine. Fold in your chocolate goodness. Scoop dough onto prepared sheets. I use a medium sized ice cream scoop size. Bake the cookies for around 10-12 minutes. Or until a toothpick comes out clean from one of the middles. 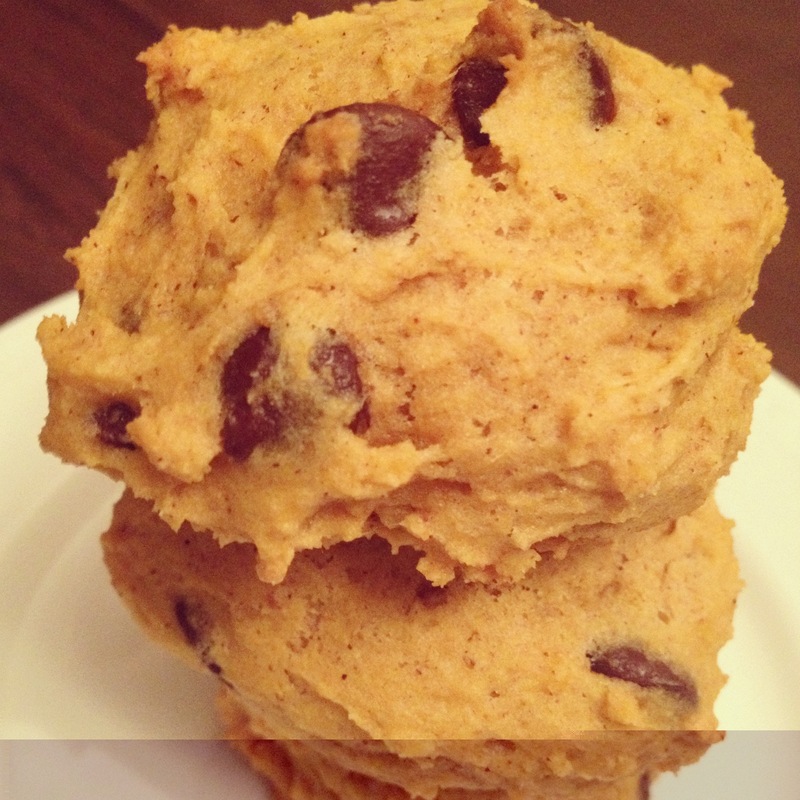 Repeat until you have a mountain of delicious pumpkin chocolate chip cookies! This recipe makes plenty to share. Not that you'll want to. 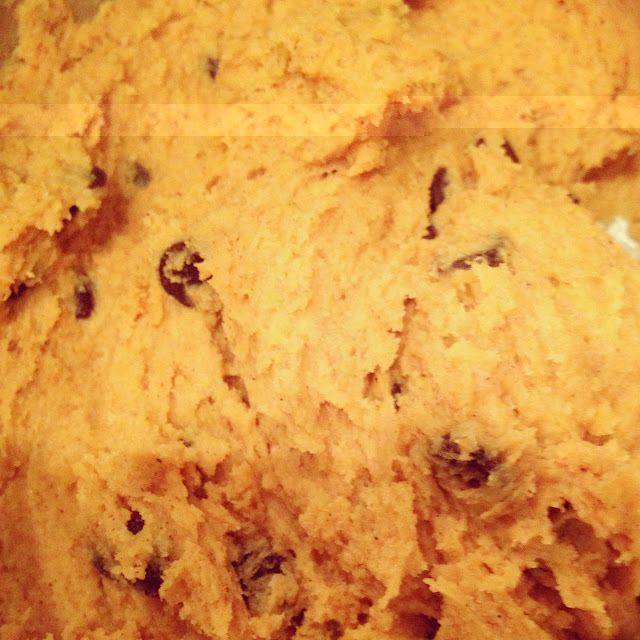 oooooooh pumpkin cookies... they might just be the death of me. I know! How about you get yourself down to utah STAT and we'll eat all the pumpkin cookies we can?! I'm home and ready for blogging adventures! Mmm stoppp it. This looks amazing. I'm pretty much for anything that tastes like fall - caramel, apples, butternut squash, and of course, pumpkin. Definitely have to try this recipe!